We know that further development of Flash for Android is dead, but that doesn’t mean they won’t continue to make the already existing app better and more secure for current users. Plus, they have told us that there will be an updated version for Ice Cream Sandwich available. Today, Adobe has just released an updated Adobe Flash complete with some more security fixings and patches. In other news , looks like Adobe Air is working just fine on the Galaxy Nexus with Ice Cream Sandwich now. 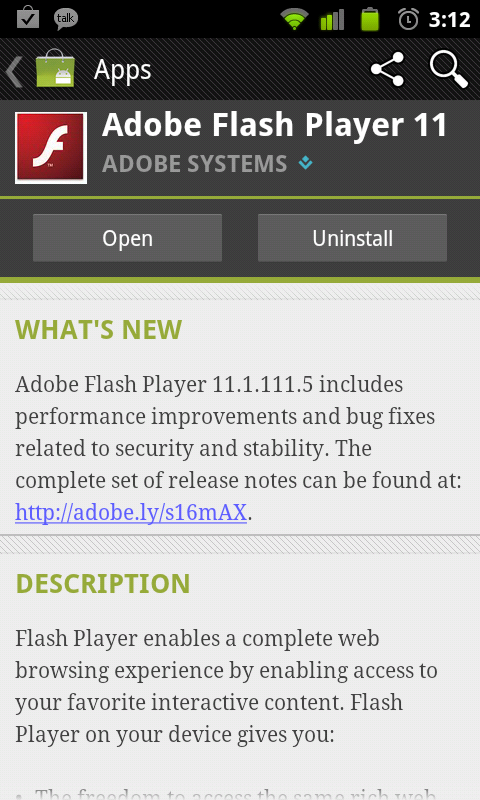 Adobe’s projections of having Flash and Air available for ICS this month is half way complete.